A-ha, a website for crazy ideas. I seem to have all kinds of crazy ideas I just forget about or never do anything with. This website is the answer! 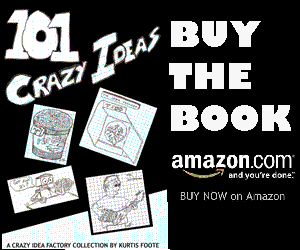 I can document my crazy ideas for you to read about and make fun of if you so choose. If you have a crazy idea you would like to post, let me know and I will post it. Also from time to time I may post my opinions on crazy ideas I see in the wild.